WHAT CAN I DO? Safari in Tanzania: walks around the shores of the great soda lake, climb Ol Doinyo Lengai, walk up to the Engero Sero Waterfalls, private tours. dry season (July - October) is the best time. 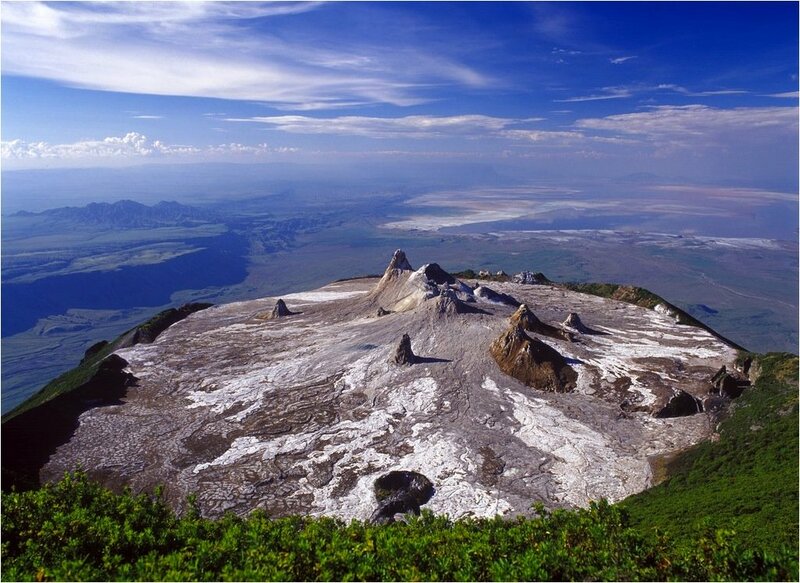 Africa’s highest active volcanic mountain Ol Doinyo Lengai. This stunning area sits just north east of the Ngorongoro Crater and forms part of Africa's immense Great Rift Valley rests at the altitude of 600m above sea level. 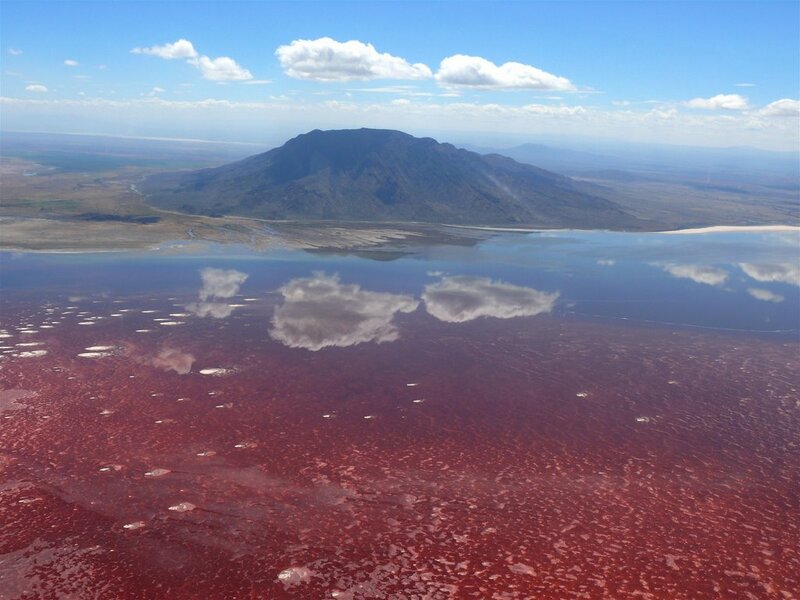 With the PH as high as 10.5, Lake Natron is one of two alkaline lakes in the area of East Africa; the other is Lake Bahi and is probably the world's most caustic body of water and perhaps the most dramatic of all the rift valley lakes. Not draining out to any river or sea other than evaporation, the lake alkalinity comes from the sodium carbonate and other minerals that flow into the lake from the surrounding volcanic rock hills and lava flows. 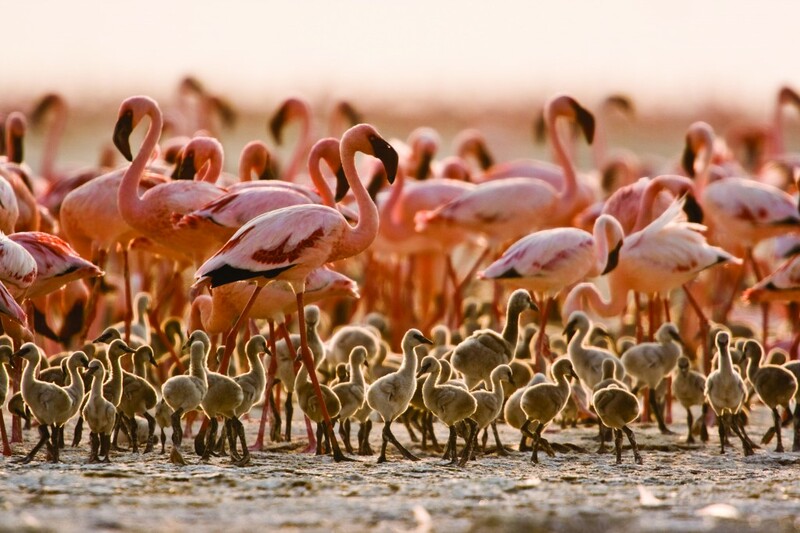 With Africa’s highest active volcanic mountain Ol Doinyo Lengai the “Mountain of God in the Maasai language” to the South, Lake Natron, serves as is a sanctuary and the only regular breeding spot in East Africa for the 2.5 million Lesser Flamingoes. Extraordinary exceptions to this are the various types of microscopic diatom algae which thrive in this harsh environment, which in turn provide sustenance for several hundred thousand lesser flamingos, for whom this is the most important breeding site worldwide. 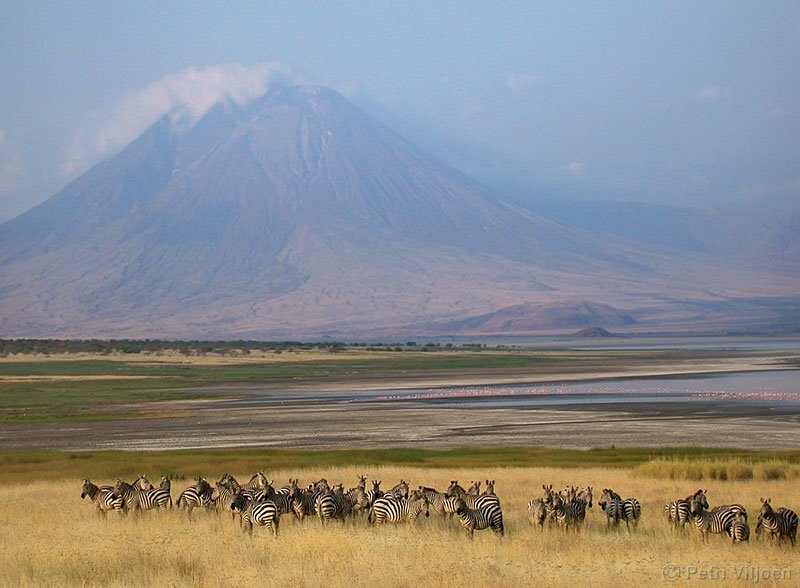 The areas around Lake Natron contain some of the most amazing scenery in Africa also a home to some wildlife, you might see the occasional giraffe or zebra warthogs and many more. Other attraction in the area are: the Mountain of God Ol Doinyo Lengai, the combination of broad open plains, sheer rift escarpments, enormous freestanding volcanoes and the vast multi-coloured soda lake itself is a home to a fascinating eco-system which thrives in this harsh environment is absolutely breathtaking. Activities in the Lake Natron are mainly on walks around the shores of the great soda lake itself, in which algae and zooplankton thrive. Viewing of Ol Doinyo Lengai – standing tall in amongst rolling hills and flat plains with ash-grey colour and smoking top tell again that this is still very much active where by the more exploratory tourists might like to try and climb Ol Doinyo Lengai. Also whilst here, take the chance to walk up to the Engero Sero Waterfalls. Dry season, July/October, is the best time.